Follow the steps below to accept your residence room. pay your $500 room confirmation deposit. Sign in through DalOnline to review your residence room offer. View your room offer by clicking this link. 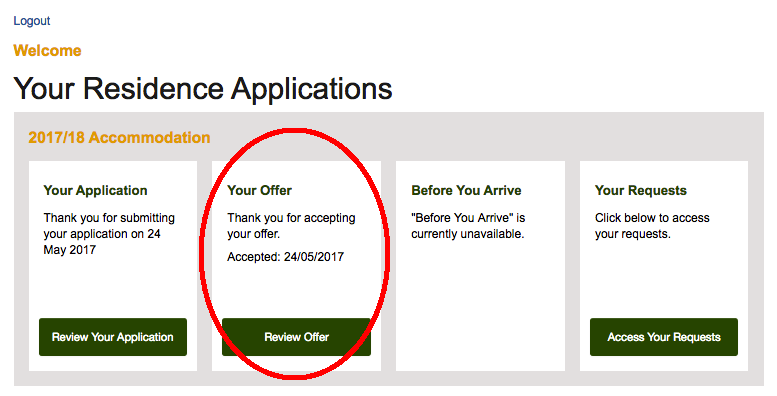 Important: You must accept your offer by clicking on this link! *Please note: If you are under 19 years old, you will only have to accept your room offer by clicking the link below. You will not have to provide your banner number and email. 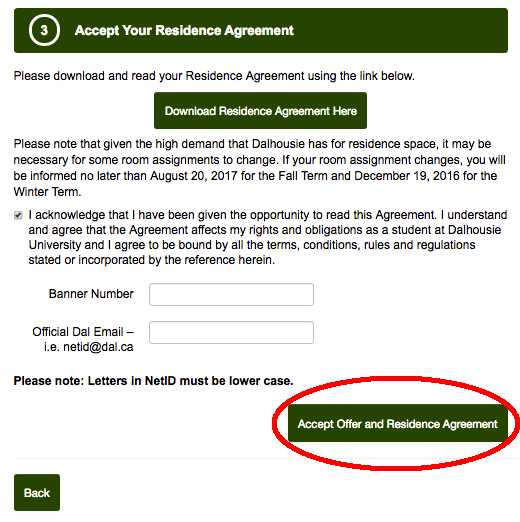 Students under 19 years old may send their completed Residence Agreements to the Residence Office by email, fax or mail. In order to confirm your room, you mst pay your $500 confirmation deposit before the date specified in your room offer. 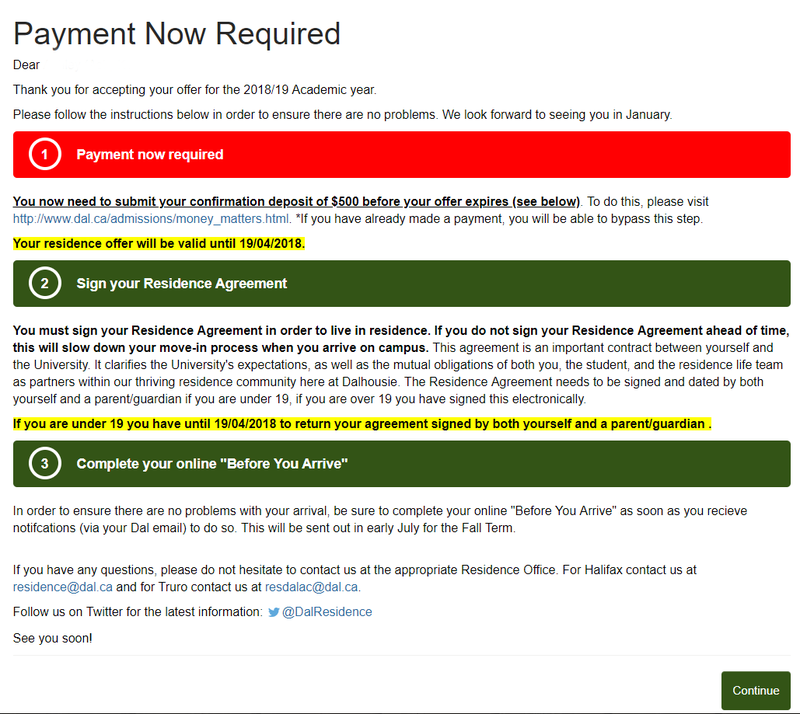 This is what your Residence Application should look like after you've accepted your room offer and paid your $500 deposit. *Please note, if you're not happy with your room offer, you may request a room transfer.